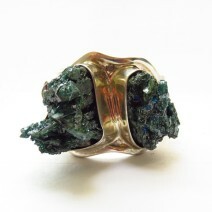 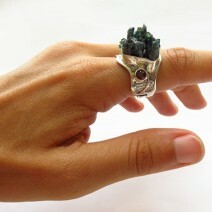 Increase your inner vision with this naturally formed raw green Apophyllite crystal ring. 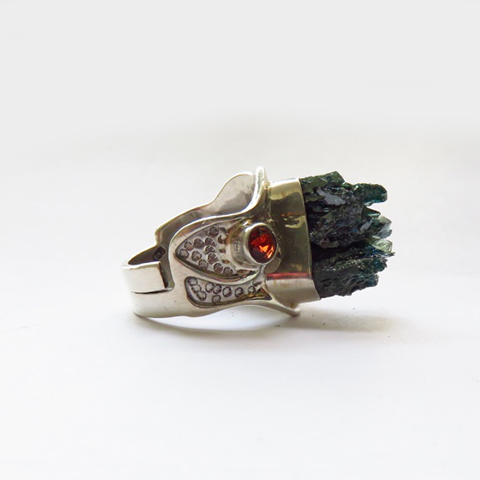 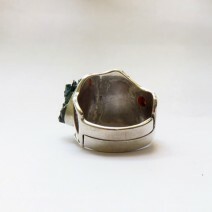 The handcrafted adjustable, hammered silver ring band also features a tiny red Sapphire which adds a special touch to the hand picked green apophyllite clusters. 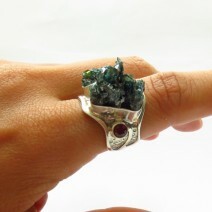 Our sterling silver Apophyllite ring is the perfect raw crystal ring gift.